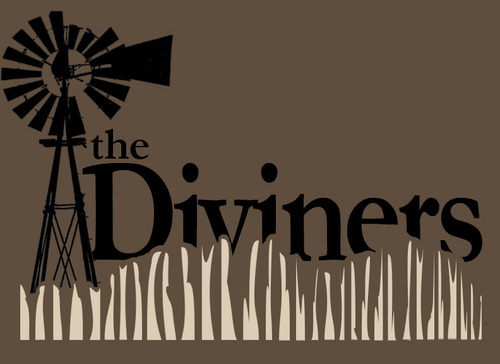 Heartland Theatre and director Christopher Connelly held auditions for the upcoming production of Jim Leonard Jr.'s "The Diviners" this afternoon, but additional auditions will be held tomorrow evening, Monday, July 11, beginning at 7 pm, and Tuesday, July 12, beginning at 6:30 pm. That means it's not too late if you're interested in trying out. 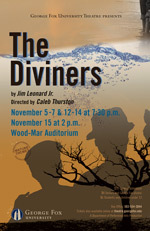 "The Diviners" is billed as "a play in two acts and elegies." 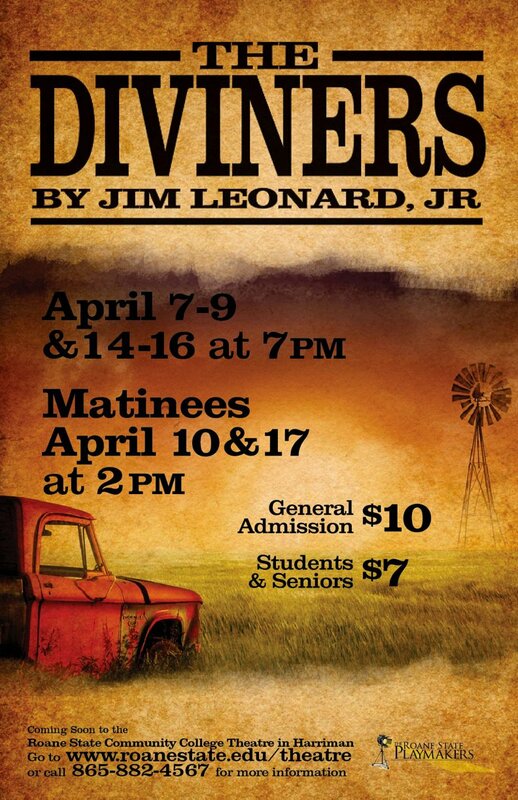 This intensely theatrical play, set in depression-era Indiana, concerns a mentally challenged boy and his friendship with a former preacher suffering a crisis of faith. Buddy, the boy, is pathologically frightened by water, yet he is also the town's "diviner," finding hidden water during drought times. When ex-preacher C.C. 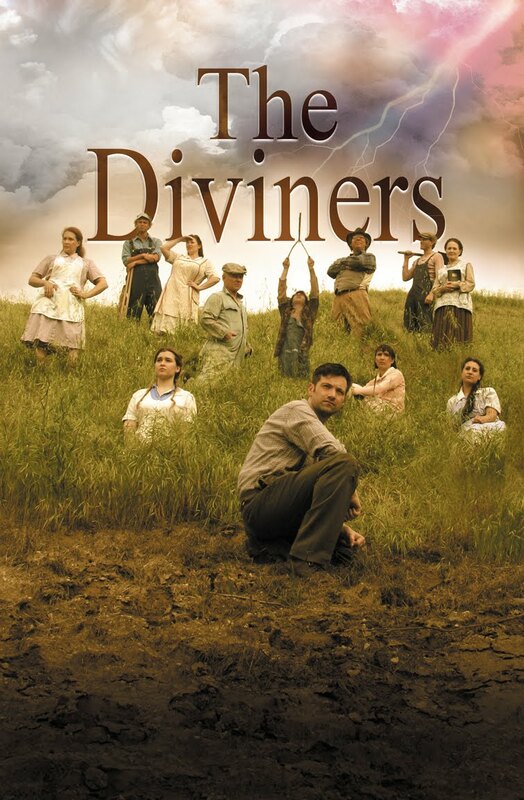 Showers arrives in tiny Zion, he attempts to help Buddy as well as stay far away from the town's empty pulpit, in what becomes a collision of faith, fear and the terrible power of good intentions. Jim Leonard Jr. wrote the play (and won first prize at the National College Theater Festival with it) when he was an undegrad at Hanover College in Indiana; he is now a writer and consulting producer on the Showtime series "Dexter." 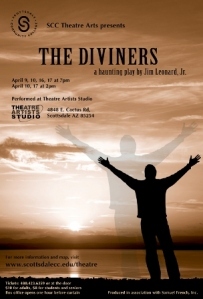 Let's just say that the voice behind "Dexter" and "The Diviners" is considerably different! Buddy Layman, a 14-year-old boy who is blessed with the gift of divining or finding water, yet is deathly afraid of water, as well. C.C. Showers, a wanderer who has quit his former profession as a preacher. Ferris Layman, Buddy’s father, cannot bring himself to do what’s best for Buddy, i.e., force the rash-ridden boy to overcome his fear of water and take a bath. Melvin Wilder, a young farmhand who thinks himself worldly-wise. Dewey Maples, an innocent young farmhand who is in love with Norma’s niece, Darlene. Jennie Mae Layman, Buddy’s protec­tive sister and primary caregiver. Norma Henshaw, one of the most de­vout townspeople, strongly pressures the un­willing C.C. to be Zion’s preacher. Goldie Short, another of the townspeople who pressures C.C. to take up preaching again; she also owns the Dine-Away-Café. Luella Bennett, Basil’s wife, is a woman of doubtful faith. Darlene Henshaw, the niece of the devout Norma Henshaw, has been taught to walk the straight and narrow but longs to dance instead. Because Heartland's production of the play does not have an image yet (it will be performed in September), I am offering poster art from several different venues to give you an idea of how other theaters have chosen to represent this intriguing play.